"Where Nature and Design Come Together"
Stay connected through our blog as we keep you updated on our special events and weddings. We love sharing our pictures and stories and hope to inspire our future clients. New ideas, wedding flowers, bouquets, brides, and more are always being added. Getting to be a part of a wedding for someone you know is an extra special gift! This is how it was with this lovely bride. 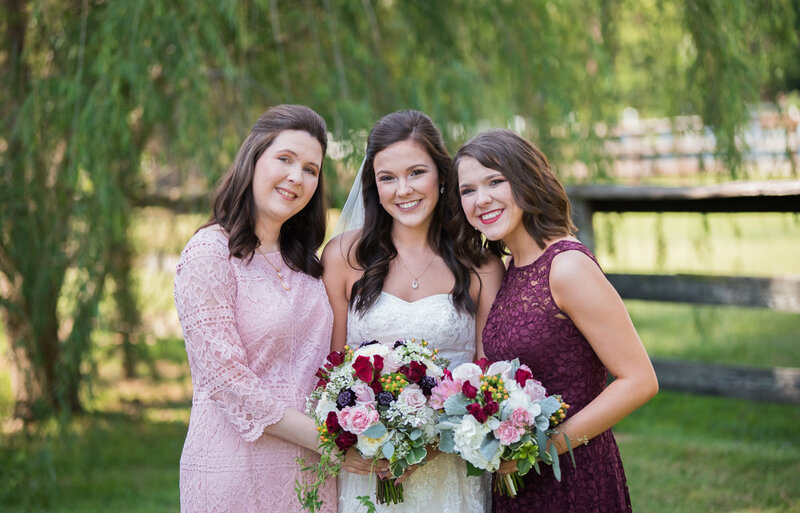 I had watched Megan grow up from Junior High on to her wedding day since she had attended the same school as my daughters. She is both beautiful inside and out and I know that Cooper is one lucky guy! They seem to be the perfect fit for each other and I know they will have some wonderful adventures ahead. Megan’s bouquet is filled with peony, blue hydrangea, scabiosa, garden roses, wax flower, mertyl, and seeded eucalptus. We set the tables with white linens, gold runners, gold chargers and beautiful china to add to the elegance of the event. Her table centerpieces were a mixture of lanterns with florals and greens flowing down the sides and lush floral rings around a mercury glass candle holder. 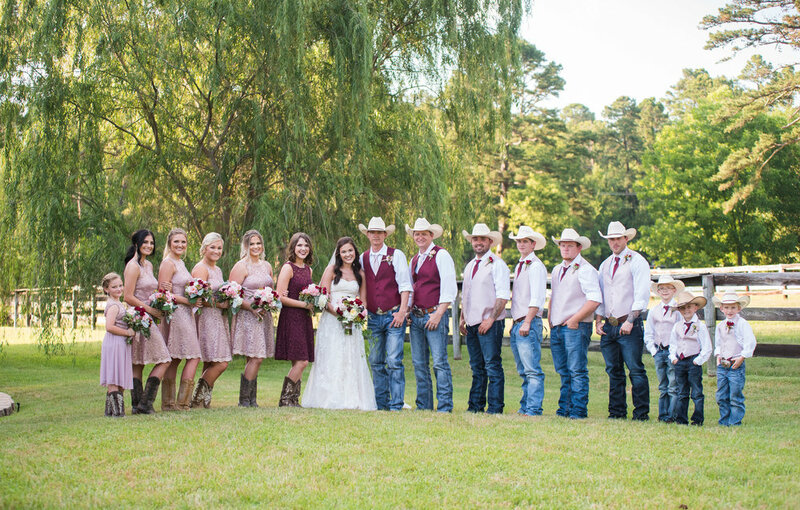 The wedding took place at Villa Di Felicita in Tyler, Texas. 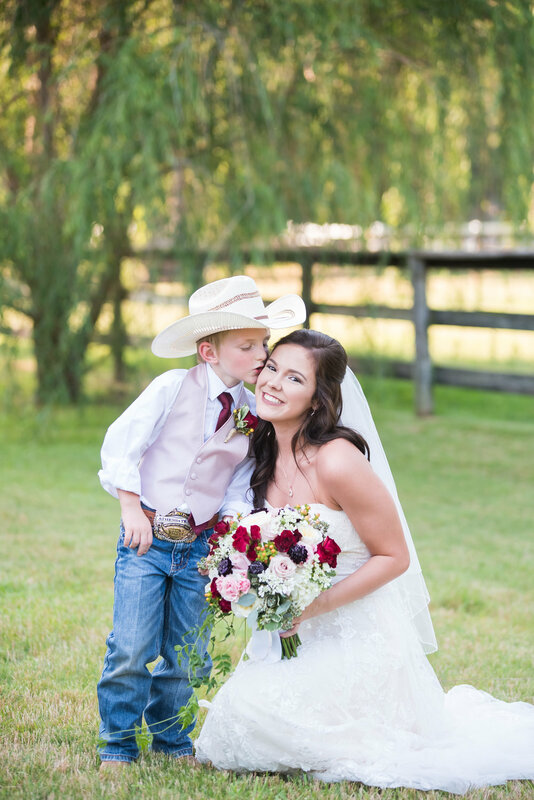 Beautiful photography by Tara Smith Photography. With all eyes on the Royal Wedding of Prince Harry and Meghan Markle, I had the pleasure of interviewing with KETK for their East Texas Live program during the wedding week. I created a bouquet in honor of Meghan Markle with some of the favorite flowers of past royal weddings, including the tradition of sprigs of Myrtle which have been in every royal bridal bouquet dating back to the wedding of Queen Victoria and Prince Albert’s eldest daughter, Princess Victoria. Meghan’s actual bouquet included Forget-Me-Nots (a favorite of Princess Diana’s), sweet peas, lily of the valley, astilbe, jasmine, and astrantia as well as the sprig of myrtle. The bouquet I created included pink peony, scabiosa, anemonie, roses, astilbe, hydrangea, wax flower and trailing jasmine vines. I also created some of my custom floral jewelry which is a new trend for weddings. The jewelry pieces featured orchids and tiny succulents. My sweet and talented photographer friend, Noreen Nartia, of Capturing Me photography, met me at the house following my interview for this fun photo shoot. Thank you Noreen for the lovely photos!! It is always a great pleasure to do a wedding for someone you have watched grow up. 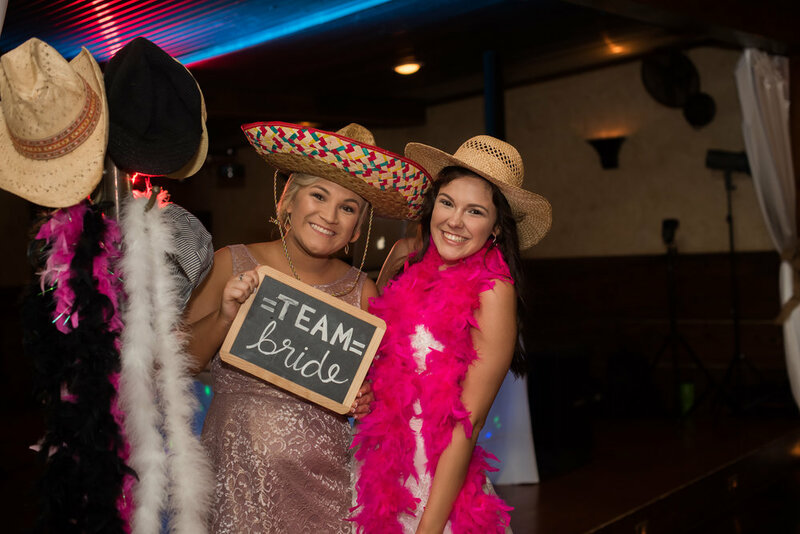 I have known Ashley since she was in elementary school and also have had the pleasure of doing the weddings for her two older sisters as well. You can imagine how excited I was when they called and asked if I would once again take care of the wedding details. The ceremony took place at Green Acres Baptist Church and the reception was celebrated at The Cascades Country Club. 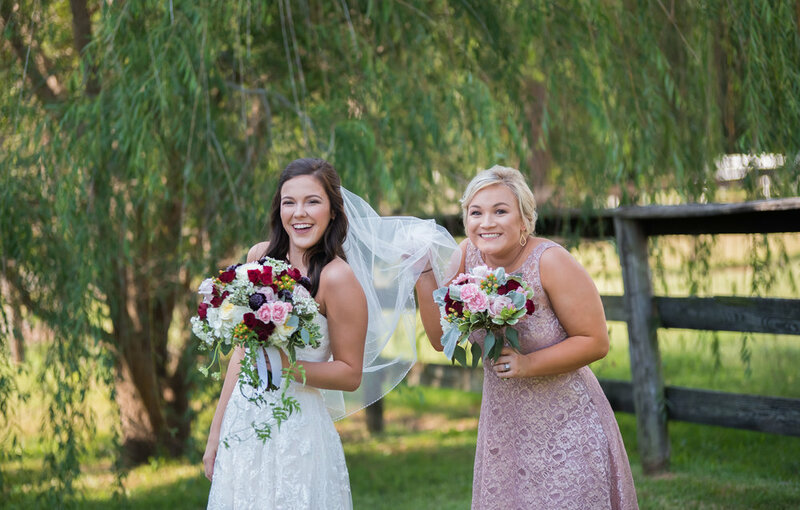 This is such a precious family and I loved being able to design all of her flowers as well as be her wedding coordinator. Jeremy is a perfect match for Ashley and I know they will have an amazing life together! 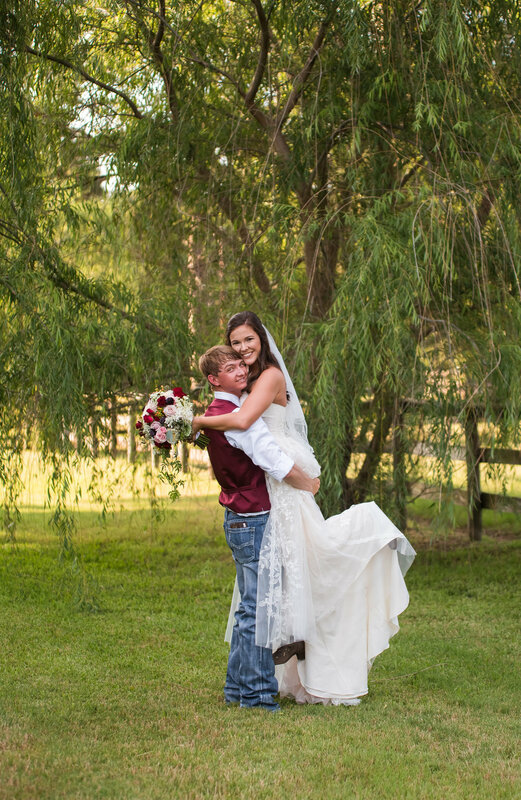 Meghan and Cody chose Centaur Arabian Farms in Tyler, Texas for their special day! I love the scenery as well as the wonderful staff at this unique venue. It's the perfect location when you want a little bit of country that is not too far from the city kind of place. Meghan told me she wanted a touch of burgundy with some blush tones for her bouquet and then let me run with the design. I chose to bring in the creamy and fragrant David Austin roses along with white hydrangea, burgundy scabiosa, spray roses, hypericum berries and a touch of astrantia and dusty miller for the wonderful texture. Trailing jasmine vines from my garden finished the bouquet. This bride was as sweet as pie which you can tell from the lovely photos taken by Noreen Nartia at Capturing Me Photography. Putting it all together...it was a perfect day celebrating with friends and family! We are a boutique floral & event design studio located in Tyler, TX but available for travel. From weddings to special events, our clients are our inspiration, and we strive to fulfill their wishes through personal attention to detail, an extra dose of creativity and a dash of elegance to each event that we touch. We promise that your event will be unique to you and always beautiful. We're currently booking for 2019 but our calendar is filling up quickly, so please inquire early to reserve your date.